Today Facebook launched its Facebook home feature for android. 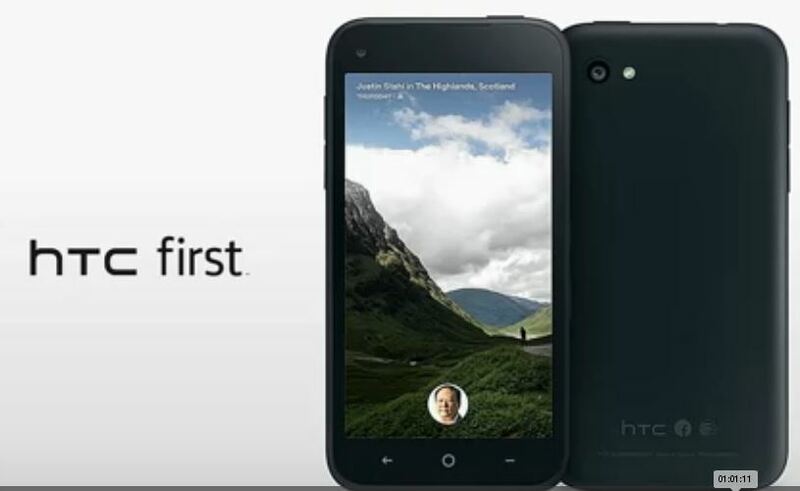 HTC First as the name suggests it is a first phone which is integrated with Facebook Home. Facebook Home is the mobile experience in HTC first. Facebook Home will show updates from the social network right on the home screen via a feature called Cover Feed. Content from Facebook will show in entire screen. The Device has Qualcomm® MSM8930AA 1.4GHz dual core Processor and Android™ v4.1 Jelly Bean OS. It has 5 MP rear camera and 1.6 MP front camera. The screen size of device is 4.3 inches with 1280 X 720 pixels resolution. The device support 4G LTE network. The device have 1 GB RAM with 16 GB internal storage.